It is believed that the one-year transition period of the most complicated technical trade measure in the world, REACH, will be completed. From June 1st to December 1st this year, the relevant enterprises that failed to pre-register within the deadline will be The relevant business for export to the EU will be suspended. According to a survey conducted by Zhongshan Inspection and Quarantine Bureau, 30% of enterprises understand part of the REACH system, and most of the enterprises they know are large-scale foreign-invested enterprises, and 70% of enterprises do not understand this. Relevant persons from the Inspection and Quarantine Bureau believe that there are many misunderstandings in the pre-registration of REACH. In order to export to the EU, it is necessary to respond positively and smoothly. Textiles and electronics will be "reinvented"
It is understood that the EU will carry out a series of work on registration, testing, evaluation and market access for about 30,000 kinds of chemical products and 3 million to 5 million kinds of applied chemicals. According to the REACH regulations, companies participating in pre-registration can enjoy a registration transition period of three and a half years, six years and 11 years. During this period, both import and export can proceed as usual, and the original market share and business continuity will not be damaged. In the face of such complicated instructions, it is necessary to thoroughly understand it. Even European companies have to spend many years. For small and medium-sized enterprises that lack professional talents, it is possible to wait until they have a comprehensive understanding before deciding. Not allowed. "Now the time is very tight, companies should act immediately, choose a reliable representative, and with their help to speed up the understanding of REACH regulations." Zhongshan Entry-Exit Inspection and Quarantine Bureau recommended. It is estimated that the EU REACH regulation alone will increase the export cost of Chinese enterprises by more than 5% and the import cost by more than 6%. The data shows that in 2006, nearly 1,000 companies in the Zhongshan region exported to the EU for chemical, electronic, textile, and light industrial products, and the total value of exported goods was nearly 900 million US dollars. Once the system is implemented, the textile and electronics industries, the main pillar industries of Zhongshan City, will be seriously affected. In the USB Data Cable category,you will find a variety of data cables for your iphone or ipad.The cables are perfectly compatible with Apple products when charging or during transmission data.Now the iphone 5 usb data cables are the most popular on the market.We will update the price in time for you.Besides,we also offer cables of different styles and different colors for your choice. 1. 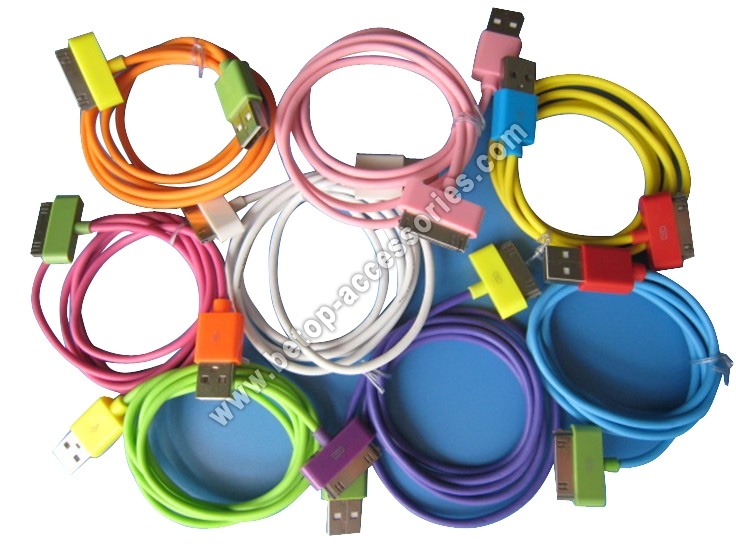 All these USB Data Cable design make the product more fashionable. 2. Fast delivery and competitive price. 3. 100% test before shipment and perfectly compatible. If you have any requirement,please let us know and we will do our best to serve you.